There is no age barrier to loving Star Wars. Ever since the first movie touched down, kids and adults alike have loved it for its adventure, action, and excitement. Halloween is the perfect time for young fans to show their appreciation, especially with Episode VII and Rogue One. We are now offering a group of delightful Princess Paradise costumes in a number of styles for kids and toddlers! In the Premium Wicket Kid’s Costume, your child becomes the very first of the short, cuddly, and helpful Ewoks. Ignoring the time they tried to eat most of the characters. Wicket is the Ewok who first comes across Leia after the tense and exciting speederbike chase on the forest moon of Endor, and now your child can wear a warm jumpsuit and hood to make him or herself look just like this original trilogy character! It’s easy to call almost any Star Wars character a fan favorite, but Chewbacca is, for all purposes, a fan favorite. In the Premium Chewbacca Toddler Costume, get a huggable, furry jumpsuit and bandolier pouch. Make a tiny fan one of Star Wars’ biggest characters. Whether she’s on her way to Alderaan with Luke, Han, and Obi-Wan, or going to one house after the other on Halloween, this is the perfect costume! Princess Paradise includes a collection of out-of-this-world dresses like the Classic R2-D2 Kid’s Dress! While the little astromech droid can only communicate in beeps and whistles, this stellar Star Wars fan will have plenty other words at her disposal to signal her approval. Pair up with one of our fun C-3PO costumes for kids or adults, and make one of the classic duos of movie history! Thanks for reading! We hope you take this opportunity to make your Halloween even more fun. Don’t forget to enter our Halloween sweepstakes! For the third year in a row, Official Costumes is offering a spectacular Halloween Sweepstakes! Grab one of five weekly $50 gift cards, as well as one of two $500 grand prizes! Starting yesterday, you can sign up on our website for your chance to make Halloween incredible. We offer five weekly prizes of $50 – drawn and announced on our Facebook pages September 9th, 16th, 23rd, and 30th, as well as October 7th. 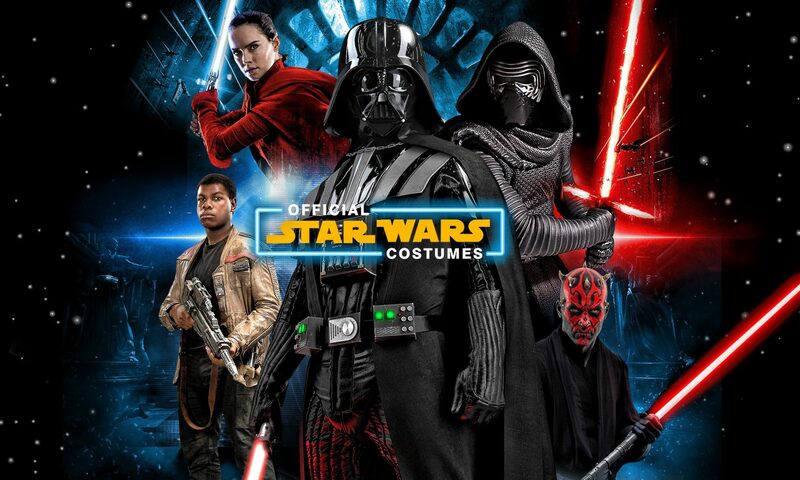 These prizes are available at any of our Official Costumes websites, including Star Wars, Superhero, and our hub site, which has it all! By entering for these weekly prizes you’re also entering into the grand prize drawing. Two lucky winners will receive $500 gift cards, chosen randomly on October 14th. All you have to do is enter your email. Good luck to everyone who enters our third annual sweepstakes, and here’s hoping everyone has a happy Halloween season!